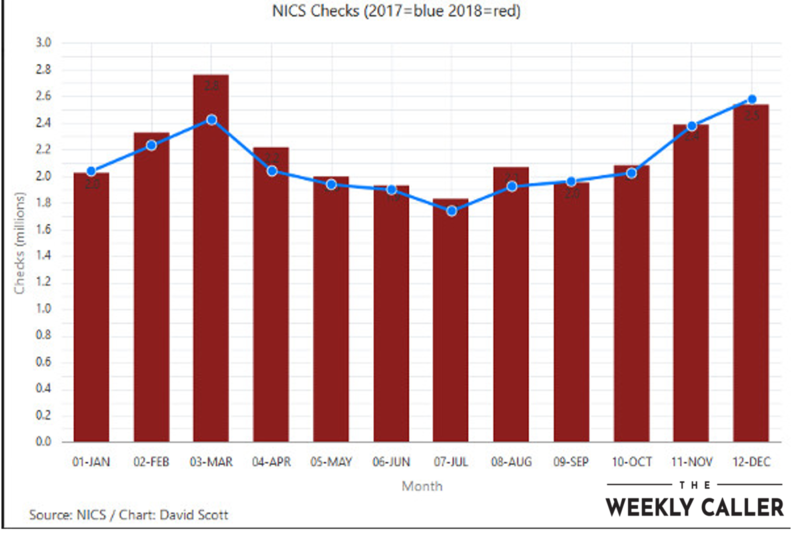 The National Instant background Checks System (NICS) checks for December of 2018 were 2,543,385. They were just a little less (42,753) than NICS checks for December of 2017. That makes them the fourth highest December on record, and puts the total for 2018 as the second highest year of NICS checks on record with 26,181,936. The top year was 2016, with 27,438,673. But gun sales are in a minor slump. Some call it the “Trump Slump”. How can this be? Two things conspire to bring about the “Trump Slump”. The first is that President Trump is not Hillary Clinton. 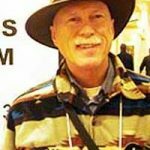 Gun owners are not as concerned about being able to purchase the gun and ammunition they want, or whether emotional driven politics will be used to deny them the guns they wish to have. With Nancy Pelosi the Speaker, and a Democrat House of Representatives in Congress, we can expect the introduction of numerous restrictive gun laws. They will insist all of these laws will be “gun safety” laws, when none of them increase safety with guns an iota. Many of these laws will pass the House and be sent to the Senate. With a partisan media, these laws will have major attention. Even with the 177 million firearms added to the private stock over the last 20 years, there are still 200 million or so Americans who are not adequately armed. Man of those unarmed Americans will listen to the rhetoric. They will see the hatred directed toward the President and his supporters. A portion of the other side will believe the propaganda designed to dehumanize coservatives, particularly white, Christian, straight men. Some people on both sided will decide they need guns. Some will want to defend the Constitution. Some will wish to destroy it. I do not expect the highly restrictive infringements on Second Amendment rights to pass. I expect them to give the gun industry a bump.